Design Presentation provides a wide range of CAD drafting outsourcing services to support design development. 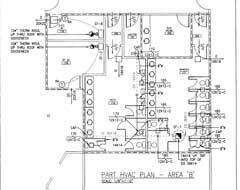 We can help you with building plans, construction documents, as-built drawings, and mechanical, electrical, engineering and plumbing drawings. 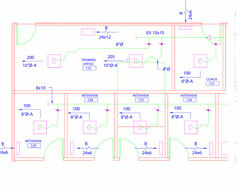 Our CAD drafting team is familiar with the latest releases of AutoCAD, MicroStation, VectorWorks, etc. 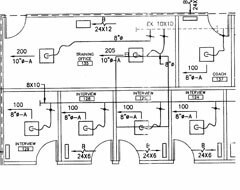 Send in your input as hand-drawn sketches, TIFF, etc and our CAD drafting experts will provide output that is fully compliant to AIA or any other standard of your choice (including line types, line weights, and usage of blocks). The final output is always a fully editable, multi-layer CAD file. Design Presentation’s CAD drafting team can execute 3D projects using a wide range of software/applications. We utilize the latest standards and techniques to develop your CAD projects. Our CAD drafting outsourcing team has access to the latest CAD software tools, giving you greater flexibility and increased productivity. Send us your requirements by fax or e-mail and we will deliver the CAD output by e-mail or via our FTP site. 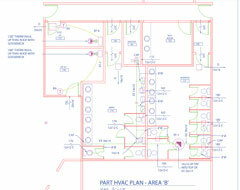 Our CAD drafting experts can usually turn around your job overnight.